Need More? 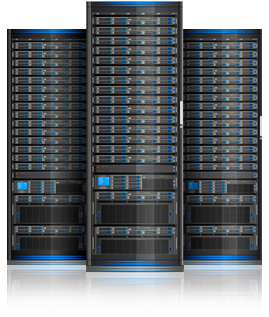 Looking for a Larger VPS? No problem -- just contact us and we can arrange a custom product, to fit your needs. Use our VPS to start your own business. We can help as well, just ask us. We provide you with the hardware and the connectivity and you take care of the rest. You set up and manage your machine how you please. Can I resell your VPSs? You can resell the entire VPS, or you can configure your VPS for shared hosting and sell shared hosting on it, yes. How are your VPS's different? We don't cut corners and we don't play games. We provide you with enterprise-class hardware and we keep our machines online, always. is it difficult to manage a VPS? Are there limits on what I can configure? No, your VPS is completely yours and you can whatever you want with it and configure it for whatever your needs are. We have a set of Linux OS's available and we install that for you of course. We can also provide you with a Windows VPS if you need. Just contact us for details. Can I customize my VPS kernel? Absolutely. You can customize any aspects of your VPS and then reboot whenever necessary. Yes, we can upgrade your VPS at any time, without losing any of your existing data or configuration settings.